Aircraft Carrier USS Ronald Reagan (CVN 76) Conduct flight Deck Operations in the Philippine Sea | Rear Adm. Karl O. Thomas, Commander, Combined Task Force (CTF) 70, discusses USS Ronald Reagan (CVN 76) involvement in exercise Valiant Shield 18, Sept. 19, 2018. Valiant Shield is a biennial, U.S. only, field training exercise with a focus on integration of joint training among U.S. forces. Lt. Cmdr Terrance Flournoy, the Aircraft Handling Officer aboard USS Ronald Reagan (CVN 76), discuss flight deck operations and his participation in exercise Valiant Shield 18, Sept. 19, 2018. Valiant Shield is a biennial, U.S. only, field training exercise with a focus on integration of joint training among U.S. forces. Petty Officer 1st Class Adrian Watson, Wardroom 1 and 2 Superintendent, discusses his duties aboard USS Ronald Reagan (CVN 76) while onboard for exercise Valiant Shield 18, Sept. 19, 2018. Valiant Shield is a biennial, U.S. only, field training exercise with a focus on integration of joint training among U.S. forces. 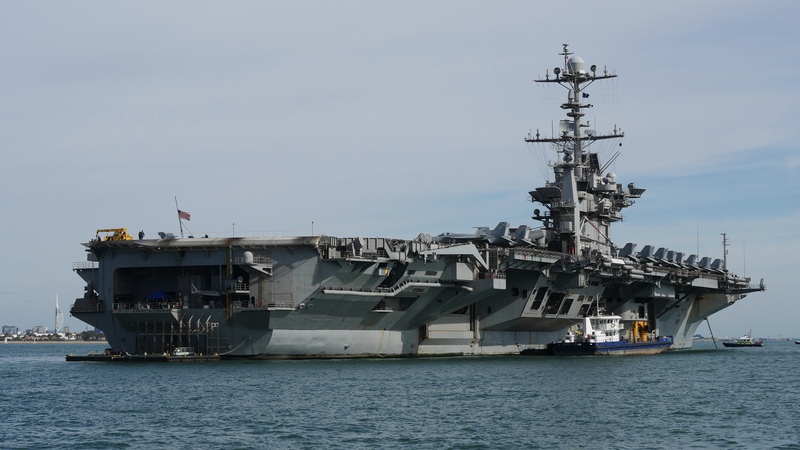 The USS Harry S. Truman Carrier Strike Group is back in the saddle, again If you’re playing a Where’s Waldo game with the Harry S. Truman Carrier Strike Group, you’re not alone. In fact, you’re doing exactly what Secretary of Defense James Mattis wants you and America’s real and potential enemies to do, too. 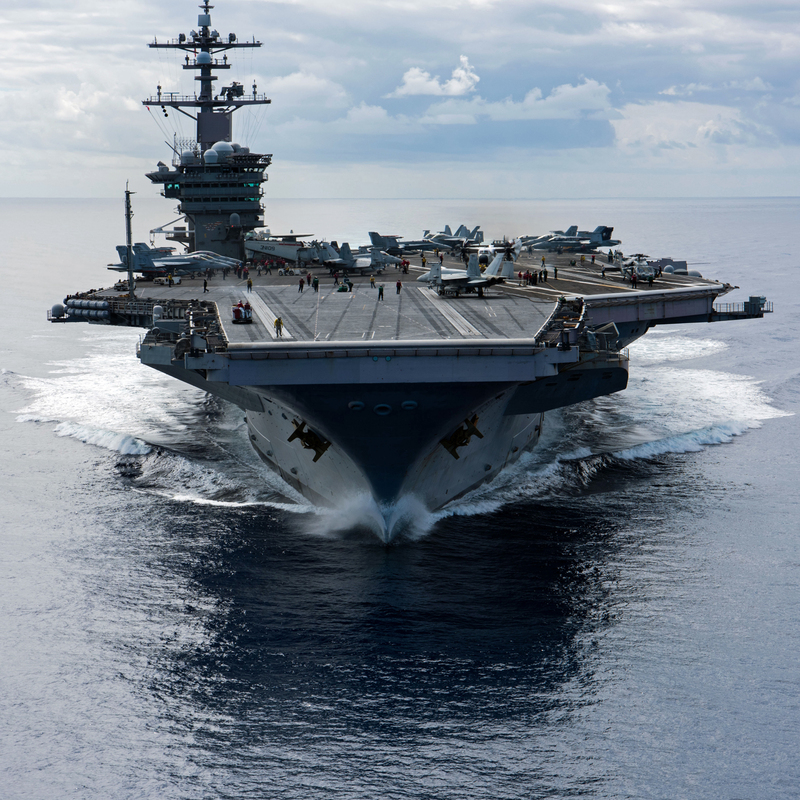 “We are thrilled to have the Harry S. Truman Carrier Strike Group back in the U.S. 6th Fleet area of operations and look forward to continuing to work with [the Truman Strike Group] team as we conduct the full spectrum of maritime operations,” said 6th Fleet commander Vice Adm. Lisa M. Franchetti in a statement released Tuesday morning. Where in the 20 million square nautical miles of ocean the strike group might be remains a mystery. Franchetti oversees Navy forces in the Adriatic, Baltic, Barents, Black, Caspian, Mediterranean and North seas. Parts of those waters won’t be new to the crews aboard the Truman, the guided-missile cruiser Normandy and their destroyers — the Arliegh Burke and Forrest Sherman. 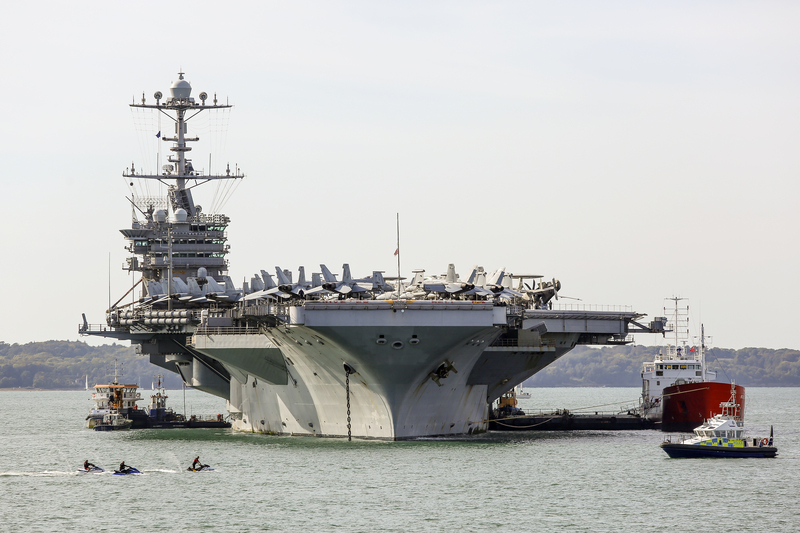 The Truman began a non-traditional carrier deployment on April 11, sailing through the Mediterranean Sea to bomb Islamic State targets in Syria before cruising around the North Atlantic. 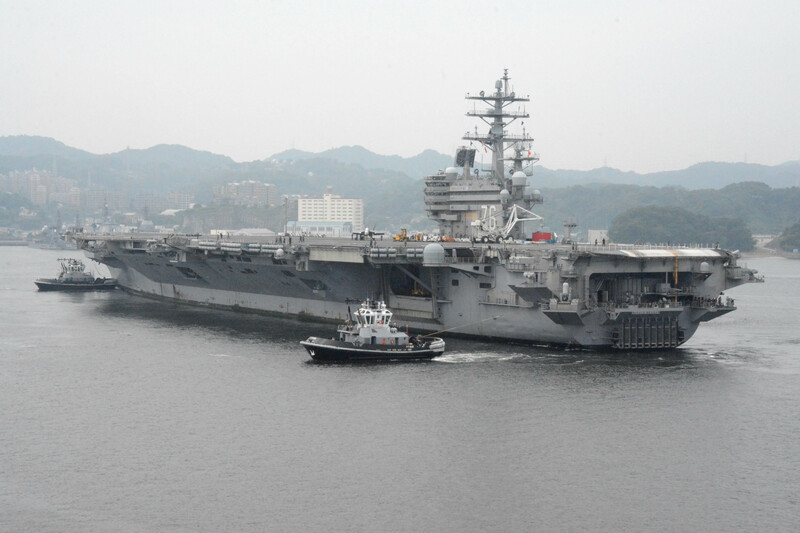 It made a surprise return to Norfolk on July 21 for what Navy leaders cautioned was merely an “extended working port visit.” The Truman headed back to sea on Aug. 28 to conduct carrier qualifications and war games with sister flattop Abraham Lincoln. Back then, Navy Times asked service leaders whether the Truman would keep going west across the Atlantic Ocean, but they cagily kept mum. Now after finishing bilateral operations with the Royal Canadian Navy, the Truman and her escorts will rejoin the guided-missile destroyers Bulkeley and Farragut, which remained behind in 6th Fleet, officials say. USS Harry S Truman at anchor in the Solent having completed operations in the North Atlantic, in the new US 2nd Fleet area of operations. 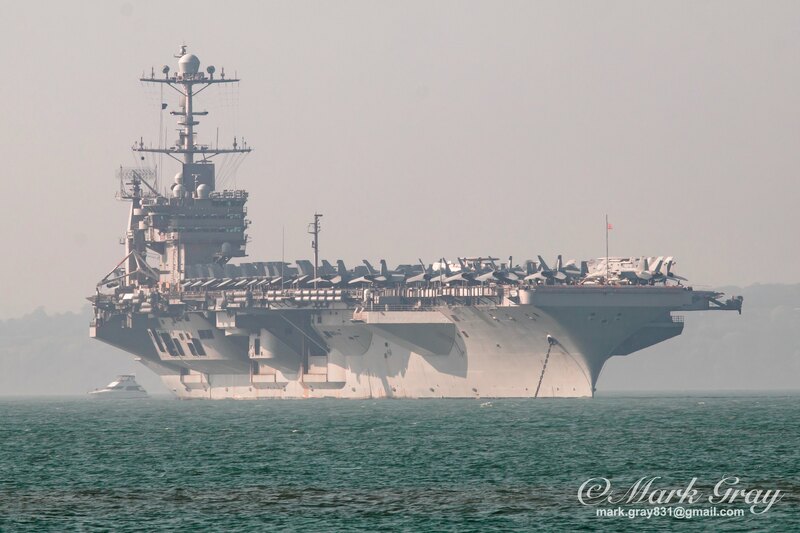 She conducted dual-carrier operations in company with the USS Abraham Lincoln followed by Anti-Submarine exercises with the Royal Canadian Navy, she then headed towards Iceland, down through the North Sea to Portsmouth where she was at anchor for a few days, before sailing from her anchorage on 10th October 2018.